The electrical grid is the electrical power system network comprised of the generating plant, the transmission lines, the substation, transformers, the distribution lines and the consumer. Traditionally, electricity generation facilities have been developed in locations far from consumption centres with the electric grid connecting the two CK-12, Electrical Grid. Retrieved from http://www.ck12.org/physics/Electrical-Grid/lesson/user:YWJlY2tlckBzc3NkLmsxMi5jby51cw../Electrical-Grid/r1 CK-12, Electrical Grid. Retrieved from http://www.ck12.org/physics/Electrical-Grid/lesson/user:YWJlY2tlckBzc3NkLmsxMi5jby51cw../Electrical-Grid/r1 CK-12, Electrical Grid. Retrieved from http://www.ck12.org/physics/Electrical-Grid/lesson/user:YWJlY2tlckBzc3NkLmsxMi5jby51cw../Electrical-Grid/r1 CK-12, Electrical Grid. Retrieved from http://www.ck12.org/physics/Electrical-Grid/lesson/user:YWJlY2tlckBzc3NkLmsxMi5jby51cw../Electrical-Grid/r1 CK-12, Electrical Grid. Retrieved from http://www.ck12.org/physics/Electrical-Grid/lesson/user:YWJlY2tlckBzc3NkLmsxMi5jby51cw../Electrical-Grid/r1 CK-12, Electrical Grid. Retrieved from http://www.ck12.org/physics/Electrical-Grid/lesson/user:YWJlY2tlckBzc3NkLmsxMi5jby51cw../Electrical-Grid/r1 CK-12, Electrical Grid. Retrieved from http://www.ck12.org/physics/Electrical-Grid/lesson/user:YWJlY2tlckBzc3NkLmsxMi5jby51cw../Electrical-Grid/r1 . GENERATION - There are two types of generation - centralized and decentralized. Centralized generation refers to large-scale generation far from consumption. This includes coal, nuclear, natural gas, hydro, wind farms and large solar arrays. The grid connects centralized power to consumers. Decentralized generation occurs close to consumption, for example rooftop solar. TRANSMISSION and DISTRIBUTION- Transmission includes transformers, substations and power lines that transport electricity from where it is generated to points of consumption. When electricity is at high voltages, transmission losses are minimized over long distances and resistive transmission lines. Therefore, at the point of generation, substations contain transformers that step-up the voltage of electricity so that it can be transmitted. Transmission is achieved via powerlines and can occur either overhead or underground. When it arrives at points of consumption, another substation is found to step-down the voltage for end-use consumption Electrical Engineering Portal, Primary Distribution Voltage levels. Retrieved from http://electrical-engineering-portal.com/primary-distribution-voltage-levels Electrical Engineering Portal, Primary Distribution Voltage levels. Retrieved from http://electrical-engineering-portal.com/primary-distribution-voltage-levels Electrical Engineering Portal, Primary Distribution Voltage levels. Retrieved from http://electrical-engineering-portal.com/primary-distribution-voltage-levels Electrical Engineering Portal, Primary Distribution Voltage levels. Retrieved from http://electrical-engineering-portal.com/primary-distribution-voltage-levels Electrical Engineering Portal, Primary Distribution Voltage levels. Retrieved from http://electrical-engineering-portal.com/primary-distribution-voltage-levels Electrical Engineering Portal, Primary Distribution Voltage levels. Retrieved from http://electrical-engineering-portal.com/primary-distribution-voltage-levels Electrical Engineering Portal, Primary Distribution Voltage levels. Retrieved from http://electrical-engineering-portal.com/primary-distribution-voltage-levels . CONSUMPTION - There are various types of consumers; namely industrial, commercial and residential consumers. Each of these consumers has different needs but in general electricity delivers important energy services like light and power for appliances . Around the beginning of the 20th century, there were over 4,000 individual electric utilities, each operating in isolation. These local utilities operated low-voltage power plants that served local customers through short distribution lines. As the demand for electricity grew, particularly in the post-World War II era, electric utilities found that it was more efficient to interconnect their transmission systems. In this way, they could share the benefits of building larger and jointly-owned generators to serve their combined electricity demand at the lowest possible cost, while avoiding duplicative power plants. Interconnection also reduced the amount of extra capacity that each utility had to hold to ensure reliable service. 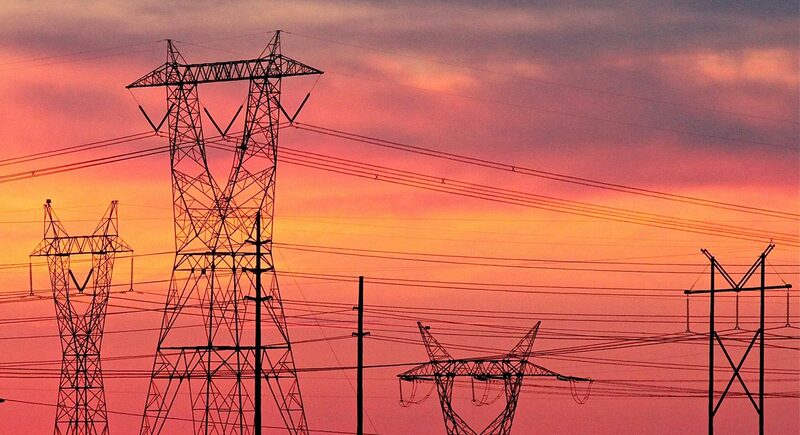 With growing demand and the accompanying need for new power plants came an ever-increasing need for higher voltage interconnections to transport the additional power longer distances US Energy Information Administration, EIA, What is the Electric Power Grid and what are the challenges facing it? Retrieved from http://www.eia.gov/energy_in_brief/article/power_grid.cfm US Energy Information Administration, EIA, What is the Electric Power Grid and what are the challenges facing it? Retrieved from http://www.eia.gov/energy_in_brief/article/power_grid.cfm US Energy Information Administration, EIA, What is the Electric Power Grid and what are the challenges facing it? Retrieved from http://www.eia.gov/energy_in_brief/article/power_grid.cfm US Energy Information Administration, EIA, What is the Electric Power Grid and what are the challenges facing it? Retrieved from http://www.eia.gov/energy_in_brief/article/power_grid.cfm US Energy Information Administration, EIA, What is the Electric Power Grid and what are the challenges facing it? Retrieved from http://www.eia.gov/energy_in_brief/article/power_grid.cfm US Energy Information Administration, EIA, What is the Electric Power Grid and what are the challenges facing it? Retrieved from http://www.eia.gov/energy_in_brief/article/power_grid.cfm US Energy Information Administration, EIA, What is the Electric Power Grid and what are the challenges facing it? Retrieved from http://www.eia.gov/energy_in_brief/article/power_grid.cfm . The electrical grid is one of the most complex and outdated breakthroughs in the world. Currently, research is being done to determine how to optimize its performance for effectiveness. The most interesting example is the recently developed ‘smart grid’. The smart grid is simply the electrical grid enhanced by information technology, which turns the electrical grid into an intelligent network. The Guardian - Do we need to build a European supergrid to secure our energy supply? In this episode of Energy Voices, we explore the latest advances in transportation from electrification to automation to what it may mean for grid infrastructure.